Partnering Tailor Pro HK, Hong Kong Federation of Business Students offers you an opportunity to learn the image-building skills required in different occasions. Through this workshop you will learn to dress up in different occasions and to reflect your own personality through your attire. Tailor Pro HK believes professional image management can be key to your personal and business success. Wearing a suit with a tie can help you establish a well-groomed, professional image; whereas wearing a suit without a tie can give you a more carefree and approachable image. It is often said that suit is men’s “uniform universal among different nations and cultures”. Clothing’s’ color, clothing style and fabric texture play different roles in conveying different messages. 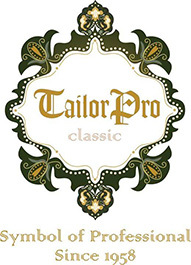 Tailor Pro HK aims to help you dress right in a spectrum of occasions and to help you reflect your personality, professional image through your attire.